The Arab Water Council was honored to attend LAS preliminary meeting and to become part of their technical team for the development of LAS regional report on “Sustainable Development in Conflict-Affected Settings”. The meeting was held at LAS headquarter on September 20, 2018 and was attended by H.E. Dr. Mahmoud Abu-Zeid - President of the Arab Water Council, H.E Dr. Hussein El-Atfy - Secretary General of the Arab Water Council, Eng. Heba Al-Hariry - Deputy Technical Director and a group of experts and representatives from different regional and international organizations (World Food Programme, Arab Women Organization, International Organization for Migration, UN-Habitat and others...). The report –to be prepared by LAS sustainable development committee- will focus on the essential role that sustainable development plays in bringing peace and social stability and in achieving future wellbeing in the Arab region. In light of the widespread conflict and terrorism in the region and fleeing of refugees, peace and stability have become a break point for achieving progress. According to the UN final report for the Millennium Development Goals “Conflict Remains the Greatest Threat to Human Development”. This points out the importance of addressing vulnerability and conflict, particularly knowing that 50% of fragile countries comprise 43% of the population living in extreme poverty, and that by 2030, this number would rise to 62%. The proposed report will include several sections that conceptualize fragility, conflict and instability and their interrelation with the degradation of natural resources and climate change impacts. 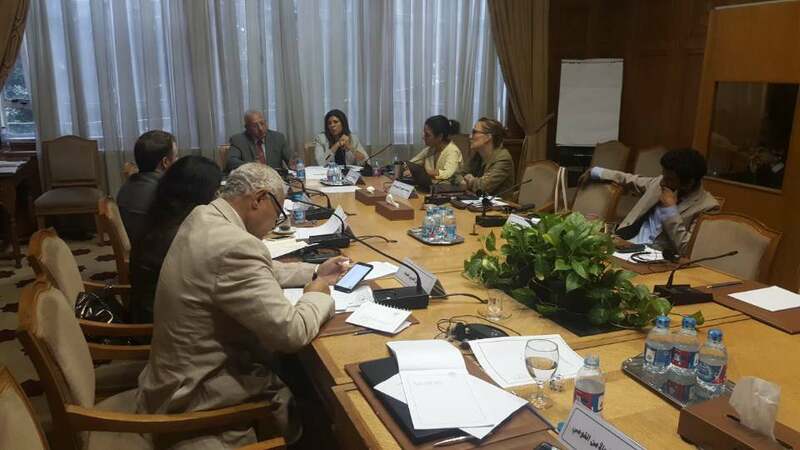 During the report preparation process, a participatory approach will be followed through roundtable discussions and policy dialogues to ensure exchange of views among all stakeholders in selected countries and neighbouring host countries, hoping to create new partnerships in the Arab region to promote peace and development.